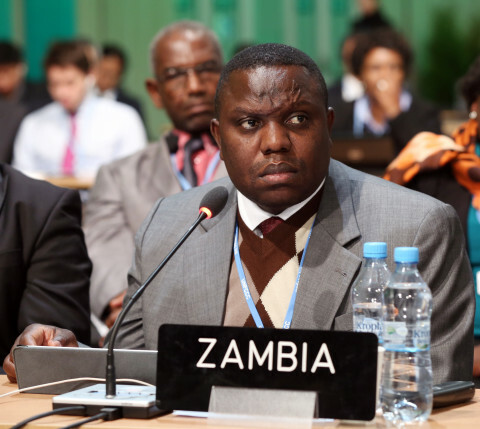 Foreign Affairs Minster Harry Kalaba says Zambia is still respected by other African countries even after 50 years of Africa’s freedom from colonial rule. Mr. Kalaba says the country still enjoys good diplomatic relations with other countries within the region and in the continent as whole. He has told Qfm news that in his recent visit to some neighboring counties he has discovered that some roads and buildings have been named after Zambia and its first republican President Dr. Kenneth Kaunda. Mr. Kalaba says Dr. Kuanda’s name and pictures have also been posted in some of the African countries’ museums he has visited. He says this implies that Zambia is till respected for the role that it played in the liberation of other countries from colonial rule in the continent. Mr. Kalaba says this is why 50 years from now as Zambia commemorates its Jubilee year he is still convinced that the country will still maintains its name and its role in Africa.